Thank you for having me back! It's always a pleasure to host PGTrivia at Beer and Brats. Shoutout to Mary from Lakewood for the sweet beer and gear! Coming in 3rd with 24 points was Whizkids, in 2nd was Mouseaholics with 29 points, and then in 1st with 33 points was Punching Ms. Daisy. Honorable mention goes to Kerrbys for joining us for the first time! 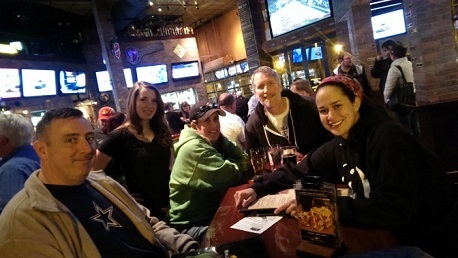 I hope to see you again soon, but until then keep joining PGTrivia at Beer and Brats on Wednesdays at 7pm!